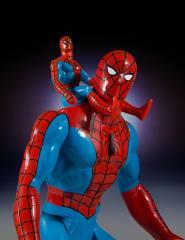 Note - 3.75" Spider-man pictured is not included. 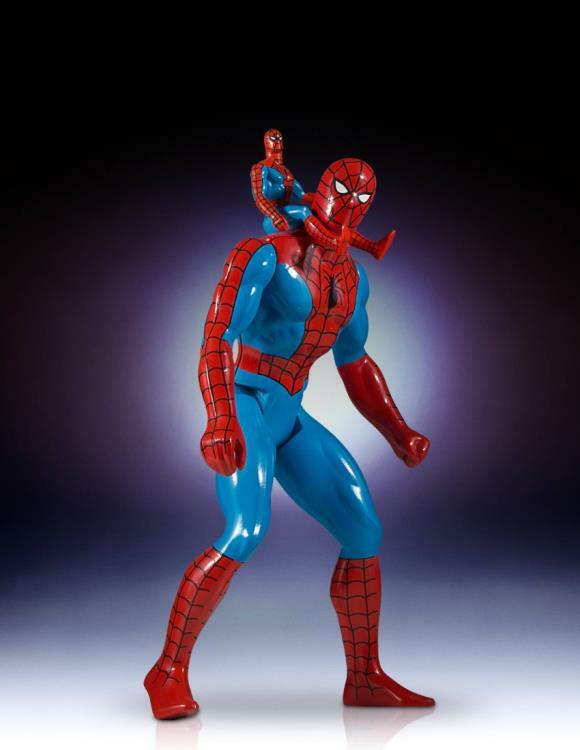 Transported to a strange planet by a force from beyond the universe, the MARVEL SUPER HEROES face destruction by earth’s deadliest villains – and must fight the SECRET WARS through the use of secret messages! 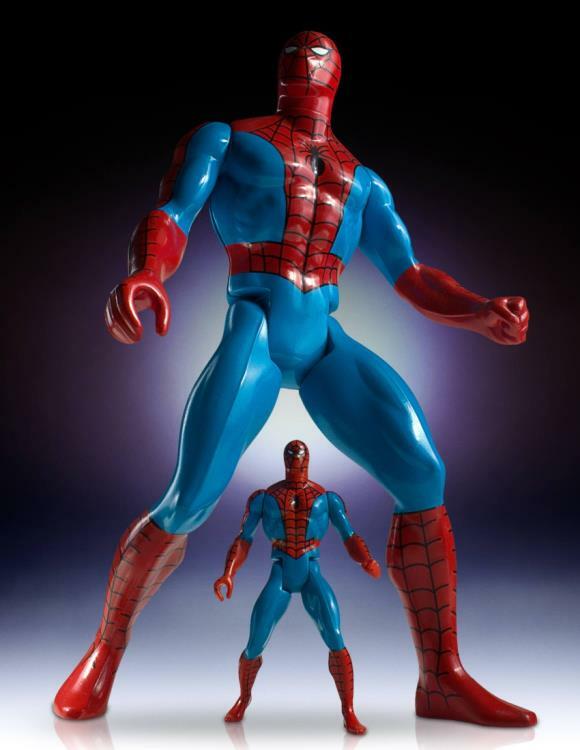 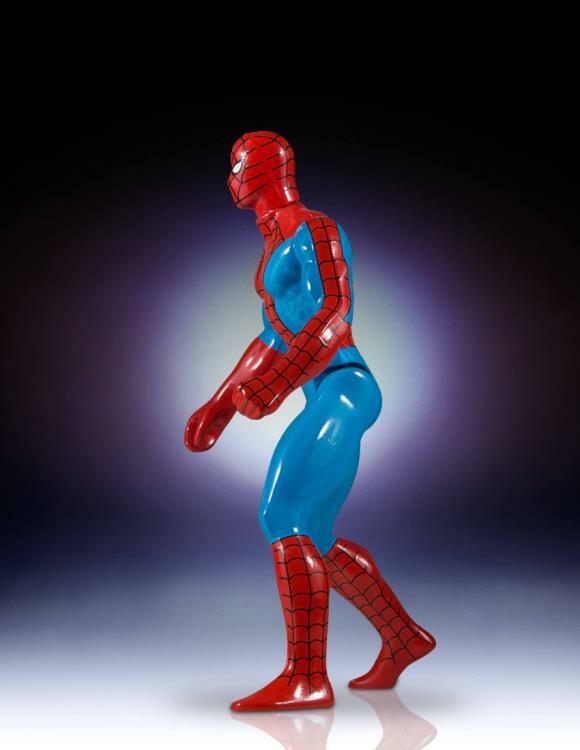 Digitally scanned from the original mint condition Marvel Secret Wars action figures and reproduced in jumbo 12” scale, no detail has been overlooked. 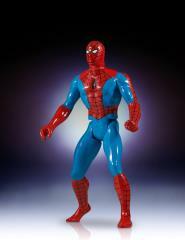 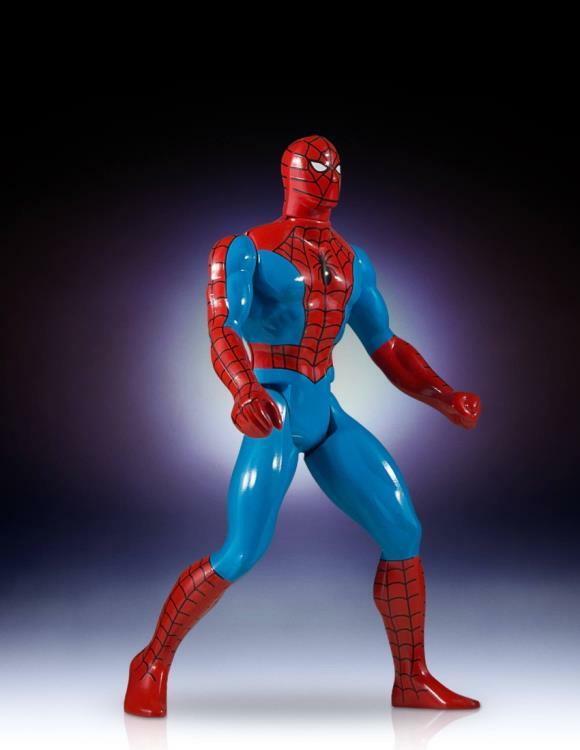 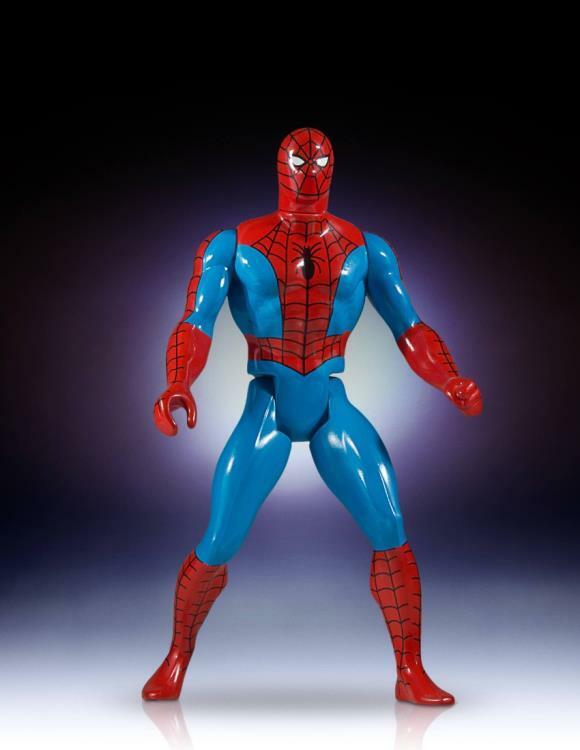 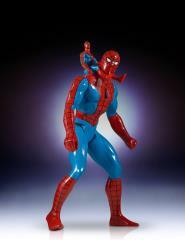 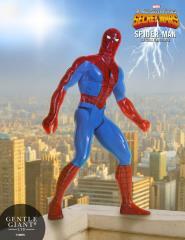 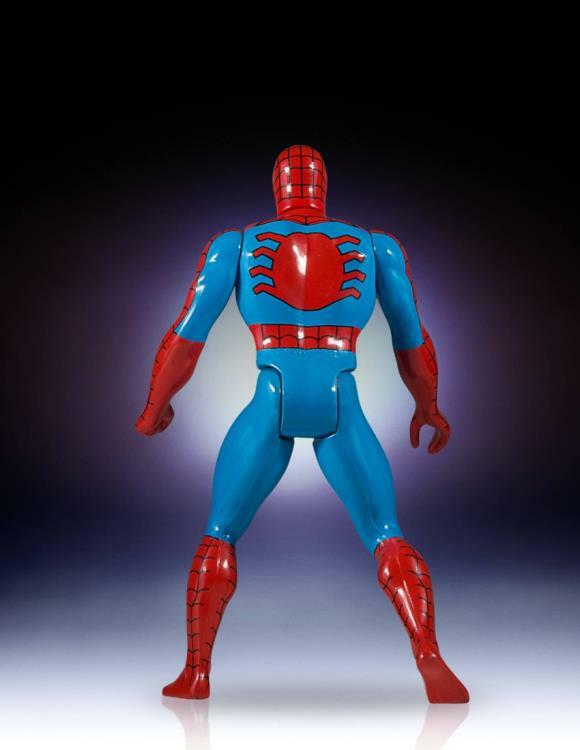 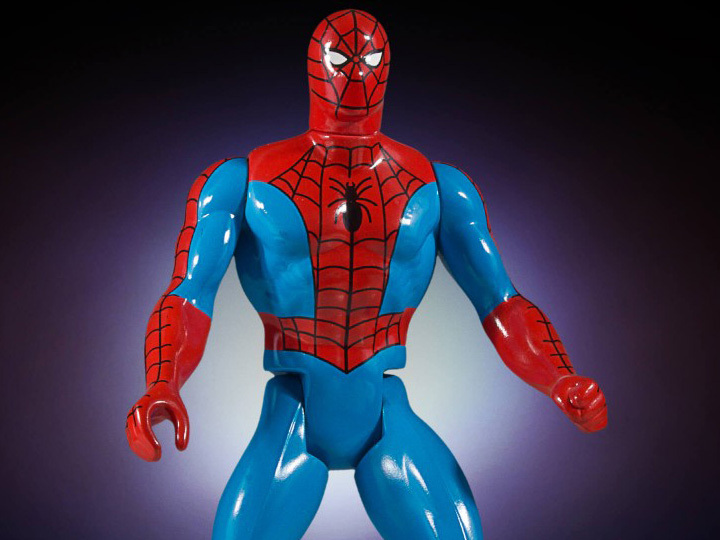 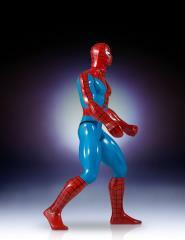 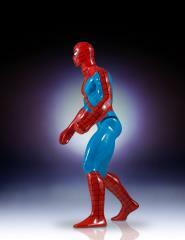 This figure is made of durable plastic and comes with original articulation. 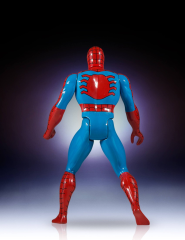 To further capture the vintage feel, Gentle Giant Ltd. has packaged this figure with a Marvel Secret Wars inspired backer card featuring original photos and artwork. Designed with the collector in mind, this figure comes in a re-sealable plastic outer clamshell to help protect and display.